Señor Monsieur. 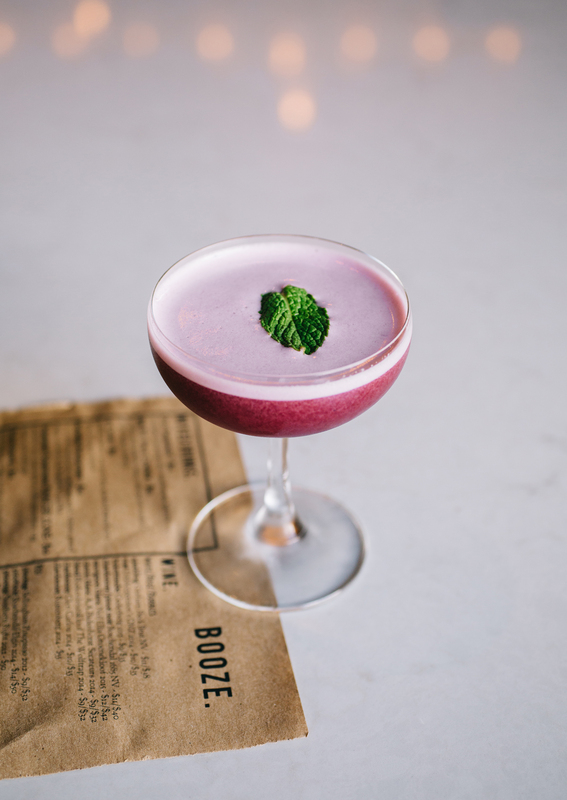 Inspired by the 100% blue agave Tequila and the Calvados (French apple brandy) that goes into the base. Little bit of Spanish. Little bit of French. Us behind the bar just call it “Mr. Mr.” Orange citrate, lemon, egg white, spiced blueberry honey syrup, Creme de Violette, Creme de Noyeux, Calvados, Tequila and Ancho chile rinse. Hmm. Tough. If I had to pick a specific house cocktail from a specific place it would be a tie between the Kimball House at Kimball House or the Neon Blonde at Leon’s Full Service. Imma lean towards Neon Blonde because I used to work there. Sorry Miles! My buddies at Spiller Park Coffee save lives. Hey, Dale! 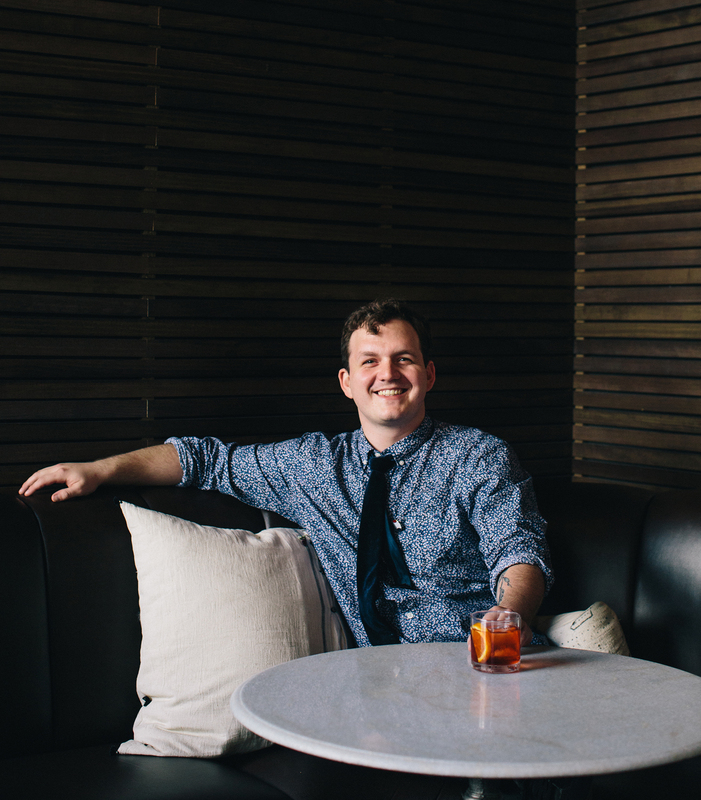 Meet Logan Saunders, Assistant Beverage Director at Biltong Bar in Ponce City Market. Beef jerky and booze? Yeah, we’re big fans of what’s going on at Biltong. I’ve yet to visit PCM and not stopped in to get a cocktail to go. I’m definitely biased but that doesn’t make me wrong…this guy is good.